Over the years and years of being an unabashed sports junkie, almost nothing has captured my imagination or my attention as much as the start of the Stanley Cup Playoffs usually do on a yearly basis. Playoff hockey is like none other in terms of creating tension and drama, and the pursuit to win one of the most storied trophies in all of sports is only matched by seeing the winning team’s captain lift the Stanley Cup aloft after a grueling two months of hard playoff labor. After six-plus months of jostling for playoff positioning and/or fighting to just get into the postseason, the Stanley Cup Playoffs are here. 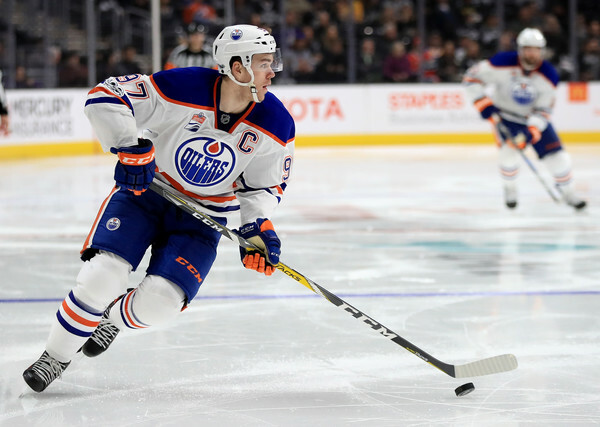 In our second part of our first round preview of the Stanley Cup Playoffs, we talk about the two players that might be the two best players in the game, the Pittsburgh Penguins Sidney Crosby and Oilers wunderkind Connor McDavid. If the Penguins aren’t able to successfully defend their Stanley Cup from last season, will the Chicago Blackhawks’ veteran grit lead them to another title? North of the border, the fans of the Montréal Canadiens are desperately hoping that this is the year that they can add to their 24 Stanley Cup titles (23 in the NHL era). But waiting for Les Habitants is a familiar Original Six foe that brought nightmares to the Quebec metropolis three seasons ago in the conference finals. Will it be déjà vu when they meet up again to start the playoffs? 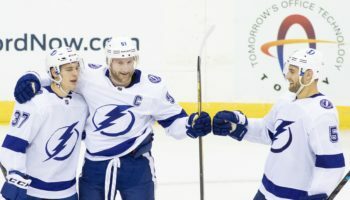 We once again fire up our previews of the first round of the Stanley Cup Playoffs, as we present to you a breakdown of half of the eight first-round series – two from the Eastern Conference and two from the Western Conference – in Part 2. The breakdown and predictions below are by A Lot of Sports Talk hockey columnist Emna Achour. Is revenge a dish best served on ice? The Montréal Canadiens will get a chance to take their revenge on the New York Rangers when the two teams start their battle in the first round of the Stanley Cup playoffs starting Wednesday night at the Bell Centre. Last time the Habs and the Blue Shirts went head-to-head in the postseason, New York came out on top by winning the series in six games back in the 2014 conference finals for a spot in the Stanley Cup Final. 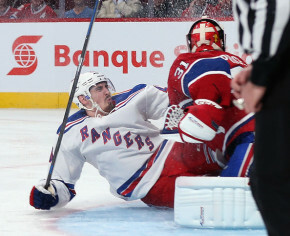 To be fair, Montréal had to try and survive without its best player for most of the series as goalie Carey Price was injured after a collision with Rangers forward Chris Kreider during Game 1. Then rookie Dustin Tokarski went between the pipes to start the rest of the series, but the damage had been done and the Canadiens couldn’t recover. Like the ghosts of the old Forum, the image of Kreider running into Price have never really left the minds of the Habs fans. But although Kreider will probably enter the Bell Center Wednesday as Public Enemy No. 1, for Price, what happened back then is a thing of the past and is far from his priority entering the series. 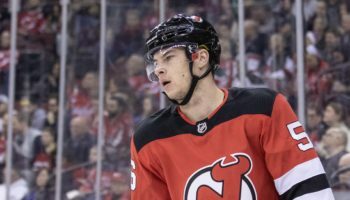 His mind is set on beating the team that stands in his way of winning a Stanley Cup for the first time in his career, and, on paper, he has a pretty good chance of doing so. Price was 37-20-5 this season, including three wins in as many starts against the Rangers, with a 2.23 goals-against average and a .923 save percentage. The defense playing in front of him is not bad itself, having finished fourth-best in the league in goals allowed (198). Throw in the fact that New York ended the regular season ranked fourth in the NHL with 253 goals scored and that should make for a great series of offensive force against defensive resistance. The normally great Henrik Lundqvist didn’t have his best season in front of goal, but did manage to collect more than 30 wins for the 11th time in his past 12 seasons in leading the Rangers to a seventh straight playoff appearance. The Swede also broke Dominik Hasek’s record for most wins by a European-born goalie (389) this winter and surpassed John Vanbiesbrouck, Mike Vernon, Hasek, Chris Osgood and Grant Fuhr to move into the top 10 of the NHL’s all-time wins list with 405. A titanic battle of the goalies should therefore be in the books as well. 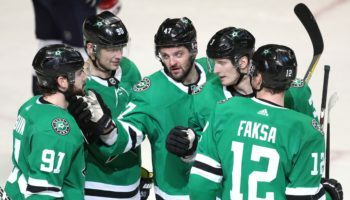 But one of the most interesting facts about this series might be that both teams excel at comebacks – a great asset to have in the pressure-driven playoffs. The Rangers had the second-best record in the league in situations where they were trailing after the first period during the regular season (9-10-1), right behind the Pittsburgh Penguins. The Canadiens, for their part, were the best team in the NHL this year when trailing after the second period (11-20-4). The Habs might have an advantage momentum-wise though, as they had a strong finish to the season sparked by new coach Claude Julien’s arrival behind the Montréal bench on Valentine’s Day, replacing Michel Therrien – again. Under Julien, the team posted a 16-7-1 record and was completely “Julien-ized” as some experts said. Big, tough guys were added to the lineup and the team relied more and more on puck possession and goaltending, features that have been Julien’s trademark as a head coach and which strongly helped him lead the Boston Bruins to the Stanley Cup back in 2011. Emna’s Prediction: Although the Habs finished only one point ahead of the Rangers in the standings – the Habs earned the title of Atlantic Division winners while New York made the playoffs as the first wild card in the gauntlet that was the Metropolitan Division – Montréal should come out on top. Price is well known for his success against the Rangers and the Canadiens’ great numbers on the penalty kill, allowing only five goals in 45 opportunities (88.9%) since Julien has took over, should give a slight advantage to the Bleu-Blanc-Rouge. The Pittsburgh Penguins begin their quest for a second straight Stanley Cup championship – along with a shot at immortality by winning back-to-back titles – on Wednesday night by going head-to-head with the Columbus Blue Jackets in the first round. This will be an 11th straight participation in the Stanley Cup playoffs for the Penguins, the longest current streak in the league now that Detroit’s quarter-century run of playoff appearances has ended this spring. Columbus will make it first appearance since 2014, when they were eliminated by these same Penguins in six games. Pittsburgh and Columbus have been two of the most efficient teams on the offense this year, with the Penguins finishing at the top of the rankings with 278 goals scored and Columbus ending the season in sixth place with 247 tallies. One might think that Columbus’ lack of experience in the playoffs (this will only be their third appearance in 16 seasons in existence) and their past results in those previous playoff series could hurt them against the defending champions, but the truth is the franchise’s past could not have any less to do with what the present has to offer these days. Sure, the Jackets had a pretty subpar season the year prior, finishing 27th in the league standings. But considerable changes were made, starting with the arrival of coach John Tortorella early last season after the team’s miserable start to 2015-16. Torts came with a different approach and looked like the coach who led the Tampa Bay Lightning to a Stanley Cup in 2004, all while slightly adjusting his man-management style and becoming somewhat more of a player’s coach than taskmaster. But only slightly. Columbus ended up finishing third in the Metropolitan Division, but let’s not forget this division was the best and the hardest to get through in the NHL. Oh, and they were thisclose to setting league history in terms of sustained winning in a season; From Nov. 29 until Jan. 3, the Blue Jackets won 16 consecutive games, one win shy of the NHL record for the longest winning streak in NHL history. (That mark, coincidentally enough, was set by the 1992-93 Penguins.) Columbus’ winning streak gave the team a legitimate shot at winning the Presidents’ Trophy, an accomplishment made even more impressive given that the division they played in (Metropolitan) featured four teams that earned at least 100 points. The Blue Jackets’ MVP this season might be the man in front of their net, Sergei Bobrovsky. The Russian goalie has been one of the best in the NHL at his position for the past few years and this season was no exception. 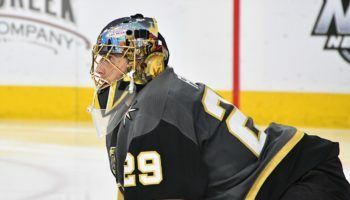 While the Blue Jackets look like they have the edge in goal, at least on paper, with Bobrovsky, the Penguins will rely on Matt Murray, who has already proven that he can navigate through the pressure of the playoffs and help his team win the Cup. He did that just last season. In 13 NHL playoffs games, Bobrovsky is 2-6 with a .890 save percentage and a 3.50 goals-against average, while Murray posted a 15-6 record with a .923 save percentage and a 2.08 GAA last spring. Oh, and it doesn’t hurt the Penguins that their insurance policy in goal, Marc-Andre Fleury, was once the main netminder on a Stanley Cup winning team, back when the Penguins won with him in between the pipes in 2009. Don’t get us wrong, the Letang injury will be a big loss. But Pittsburgh went 13-7-3 without Letang after he got hurt on Feb. 25. They had time to get used to playing without him in the lineup. Another Stanley Cup might be too much to ask without Letang’s presence at any point, as he was a key contributor to the team’s success last year. But they should be able to make it past any first round series without him. Oh, and then there’s Sidney Crosby, who had another pretty great season by winning the Rocket Richard Trophy with his 44 goals and finished tied for second in scoring with 89 points. He is still the most dominant player in the League – despite how great Connor McDavid was this season for the Edmonton Oilers – and he still has the ability to turn any of his once-anonymous linemates into prodigious goal scorers or impressive play-makers, like Conor Sheary and Jake Guentzel this season. Emna’s Prediction: Given the experience of the Penguins and their ability to face adversity and win games despite some of their best players being out of the lineup, I have to go with Pittsburgh. Bobrovsky should steal a game or two for the Blue Jackets, but it won’t be enough to make it out of the first round. The Chicago Blackhawks, who finished first overall in the Western Conference, are the team to beat on their side of the National Hockey League world. They clinched the No. 1 overall seed out West with a strong second half. Only the Washington Capitals (71 points) and Anaheim Ducks (61 points) had more points in the calendar year of 2017 than the Blackhawks, who accumulated 58 points thanks to a 27-12-4 record since Jan. 1. Patrick Kane finished tied with Pittsburgh Penguins captain Sidney Crosby for second in the NHL scoring race with 89 points. In his second season with the Blackhawks, left wing Artemi Panarin had 74 points (31 goals, 43 assists), while captain Jonathan Toews was responsible for most of the team’s success in the second half of the season, scoring 40 of his 58 points (21 goals, 37 assists) after New Year’s Day. On the Nashville Predators’ side, left wing Viktor Arvidsson scored 31 goals in his second NHL season after finishing is rookie year with just eight. Left wing Filip Forsberg also had 31 goals, netting more than 30 for a second straight season. But the Preds’ true force resides in their defensive corps. Nashville’s top four defensemen are among the NHL’s finest: Roman Josi led Nashville D-men in points (49) and ice time per game (25:04); P.K. Subban, who was acquired by the Predators in a surprising offseason trade with the Montreal Canadiens for Shea Weber, finished with 40 points and averaged 24:24 per game; Ryan Ellis had 38 points and averaged 23:57 and Mattias Ekholm had 23 points and averaged 23:27. In total, the Predators’ defensemen combined for 181 points, 20 more than their Blackhawks counterparts, and 45 goals, 15 more than Chicago. Offensively, six of the Blackhawks’s forwards scored at least 20 goals this year, the only team in the league to do so. Kane (34 goals), Panarin (31), Marian Hossa (26), Artem Anisimov (22), Richard Panik (22), Toews (21) and Ryan Hartman (19) combined for 175 of Chicago’s 240 goals, which was 72.9 percent of its scoring. Nashville’s scoring was more spread out, as nine forwards and three defensemen finished with at least 10 goals. It wasn’t easy, but the Predators did what everyone expected them to do by clinching a playoff spot after having reached Game 7 of the Western Conference second round series last season before being eliminated by eventual Western Conference champion San Jose. They had to wait until the last week of the season to get the confirmation they would continue playing hockey this spring after a difficult season with a lot of ups and downs. But Nashville concluded the regular season with a 9-5-1 run to take the second wild card spot. The Blackhawks will try to lift the Stanley Cup for the second time in three years and a third time in five seasons. On the current roster, six Chicago players have been a part of the three last championship teams: Toews, Kane, Keith, Hossa, Brent Seabrook and Niklas Hjalmarsson. Their experience in the postseason should also factor in – on the plus side as well as possibly work as a negative. 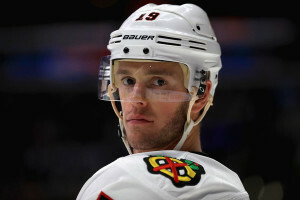 Toews and Hjalmarsson have each appeared in 124 playoff games for the Blackhawks, followed by Kane (123), Keith (122), Seabrook (119), Hossa (103) and goalie Corey Crawford (83). Nobody on the Predators’ side has been a part of more playoff games than goalie Pekka Rinne, who has played 48. The Blackhawks also have the Nashville Predators’ number in the playoffs it seems, as Chicago has knocked out Nashville twice in the first round of the playoffs, each time in six games (2010 and 2015). On both occasions, the Blackhawks followed that win by making their way to the Stanley Cup Final and eventually lifting the chalice aloft in victory. ALOST’s Prediction: The Blackhawks finished 15 points ahead of the Predators during the regular season and their playoff experience is invaluable. I’m not saying they have what it takes to win a third championship in five years, but I can’t see why they couldn’t move past the Predators with relative ease. This series will be a battle between the freshness and fearlessness of youth and the wisdom that comes with years of experience in the postseason. The San Jose Sharks’ most unanimous asset against the Edmonton Oilers is their undeniable playoffs experience. Sharks players have played a total of 1169 games in the NHL playoffs while the Oilers players have combined for 342. Furthermore, almost a third of that postseason experience for Edmonton comes from forward Milan Lucic himself, who appeared in 101 playoff games with the Boston Bruins, including a Stanley Cup championship run with them in 2011. Regarding the rest of the Oilers’s roster, 16 players have played 10 games or fewer in the postseason and 11 have no playoff experience at all. The last time the two teams met during springtime was also the last time Edmonton made the playoffs: the 2006 Western Conference semifinals, a series the Oilers won 4-2 for on their way to an eventual Stanley Cup Final appearance against the Carolina Hurricanes. But when Connor McDavid is on your team, chances are I’ll give you the edge anyway, no matter who else is in the other team’s lineup and how much postseason experience they have. He’s just that good. The Oilers’ star forward and 20-year-old captain was the only player to reach 100 points (30 goals, 70 assists) this season, his second in the NHL. He ended the year with a 14-game point streak (seven goals, 18 assists, 25 points). McDavid scored or assisted on 41.2 percent of Edmonton’s 243 goals, which places him first in the league in goals responsible for. His impressive consistency – he hasn’t been left out of the score sheet for more than two games in a row – is what led him to such good results this year. On the other side, San Jose’s top two centers might not even be able to start the series on Wednesday with the rest of their teammates as Joe Thornton and Logan Couture are still listed as day-to-day. Couture took a puck in the face on Mar. 25 during a game against the Nashville Predators and missed the last seven games of the regular season. Thornton suffered a knee injury against the Vancouver Canucks on Apr. 2 and wasn’t in the lineup for the final three games. Couture (25 goals, 27 assists, 52 points) and Thornton (seven goals, 43 assists, 50 points) ended the season at third and fourth place on the team in scoring, so if they can’t make their way back to the lineup soon enough, it could be tough for the Sharks to recover from that and win this series. The Oilers finished second in the Pacific Division (47-26-9) with 103 points, a 33-point improvement from 2015-16 when they finished dead last in the Pacific and 29th in the NHL. They also considerably improved their goals-for/goals-against ratio from last season. The Oilers were minus-43 last year (199 goals for, 242 goals against), but plus-36 this season (243-207), an improvement of 79 goals. In layman’s terms, that is nearly an improvement of one goal per game. Cam Talbot also had the best season of his young career in his first as an unquestioned No. 1 goalie. He led the NHL with 73 starts, which is eight more than his counterpart in this series, Martin Jones. Talbot finished with a record of 42-22-8, a .919 save percentage, a 2.39 goals-against average and seven shutouts. ALOST’s Prediction: : McDavid’s presence alone makes a strong case as to why the Oilers should get past this first round. He is the Hart Trophy favorite as the league’s most valuable player this season. Combine that with the fact that the top two Sharks centers are on the sidelines indefinitely and the Oilers should need less than seven games to advance to the next round in their first playoff appearance in 11 years.